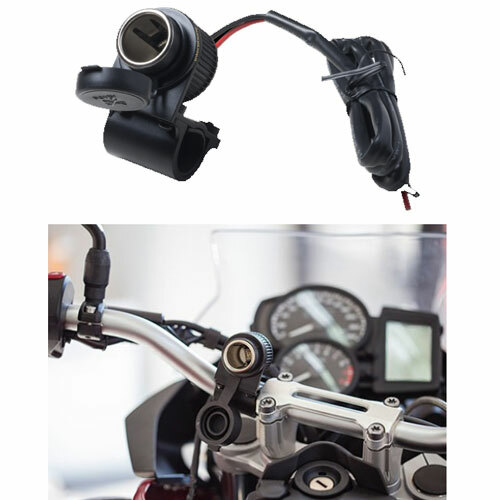 Power supply kit for tubular motorcycle handlebar with cigarette lighter socket. Protective hood. Cable length 150 cm. Fuse 15 Ah.